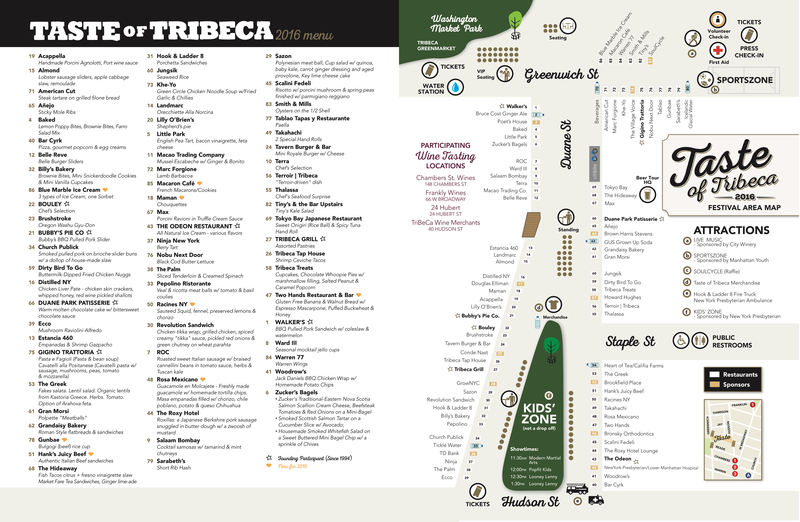 The Taste of Tribeca 2016 map is up on our website, and it’s a goody! If you’ve been attending the festival for years, you’ll be excited to see that our founding participants–those restaurants that have been with us since 1994–have a star next to them not the map. Restaurants that are new the festival are shown with a yellow diamond beside them. 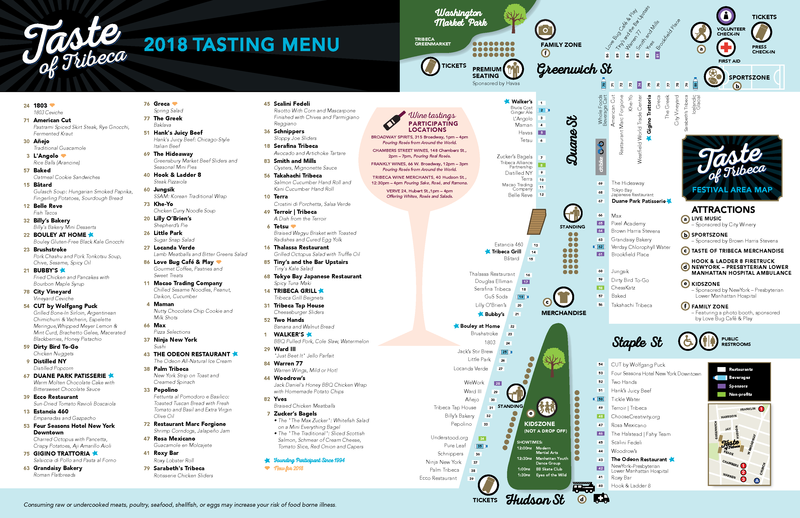 Please also note the Sportszone and City Winery Live Music stage on Greenwich Street near Harrison (musical performances running from noon to 3PM), and the Kids’ Zone on Duane and Hudson, with live shows running through 1:30pm. If you’re looking for H2O, head to the water station on Greenwich near Washington Market Park. Or, if you’d like to take home a T-shirt, water bottle or other Taste of Tribeca 2016 souvenir, check out our merchandise stand on Duane Street at Staple Street. We’re excited about all that we have to offer this year! Taste of Tribeca is a great event for a great cause. Thanks for your support of local public schools PS 150 and PS 234!